← Next Week is DRACULA WEEK! 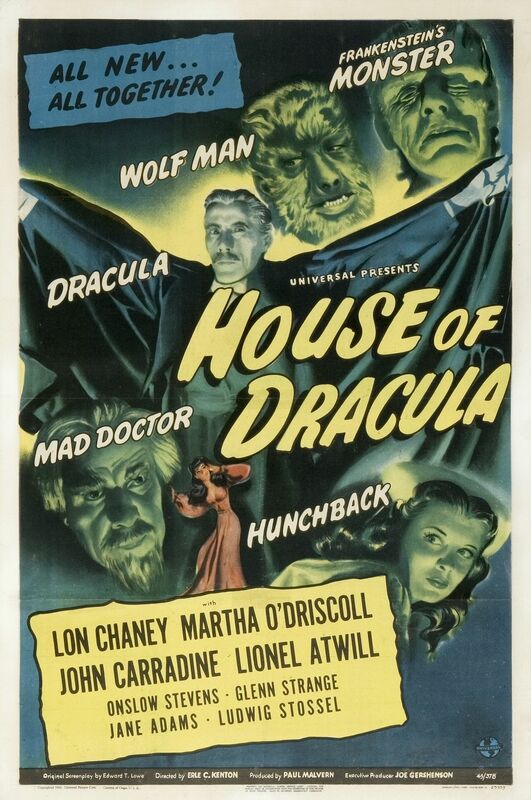 Posted on October 21, 2013, in 4-Icons, Horror and tagged 1945, Dracula, Edward T. Lowe Jr., Erle C. Kenton, Frankenstein, Glenn Strange, House of Dracula, Jane Adams, John Carradine, Lionel Atwill, Lon Chaney Jr., Ludwig Stossel, Martha O’Driscoll, Onslow Stevens, Skeleton Knaggs, Universal Monsters, vampires, Werewolf, Wolfman. Bookmark the permalink. Leave a comment.